I’m somewhat more excited for this movie than I feel I should be… I was a huge fan of Paddington as a child, so really hope this works! 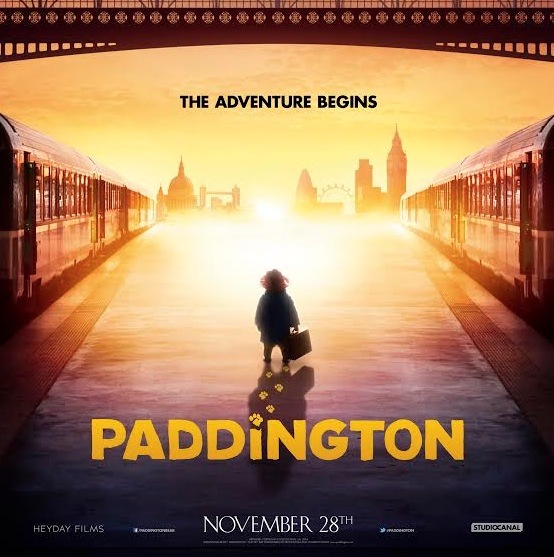 Studiocanal is pleased to present the very first trailer and poster for Paddington. From the producer of Harry Potter, based on the best selling series of books and featuring an all star cast, Paddington will be released in UK cinemas on November 28th 2014. From the producer of Harry Potter and Gravity, Paddington comes to the big screen for the first time in an epic new adventure. Starring Hugh Bonneville, Sally Hawkins, Julie Walters, Peter Capaldi, Nicole Kidman and Colin Firth as the voice of Paddington.